The Carousel is planning to increase its price to $2 per ride, effective April 4, with the additional funds going toward ensuring the long-term sustainability of the carousel in the community. This will be the first time in nine years of operations that the non-profit organization has raised its price, even while administrative costs have risen steadily. We are particularly concerned about the potential need for costly repairs to our antique carousel and band organ, and are committed to developing sufficient reserves to address this situation. We are grateful for the community’s support as we take this action to address our long-term financial health. 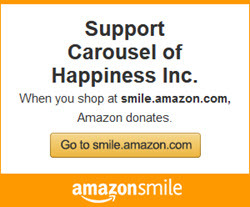 Any feedback may be sent to feedback@carouselofhappiness.org.